An Easter visit to Chablis reminds us why we usually take bikes on every motorhome trip, but forgot this time! Oops! Look who forgot the bikes?! 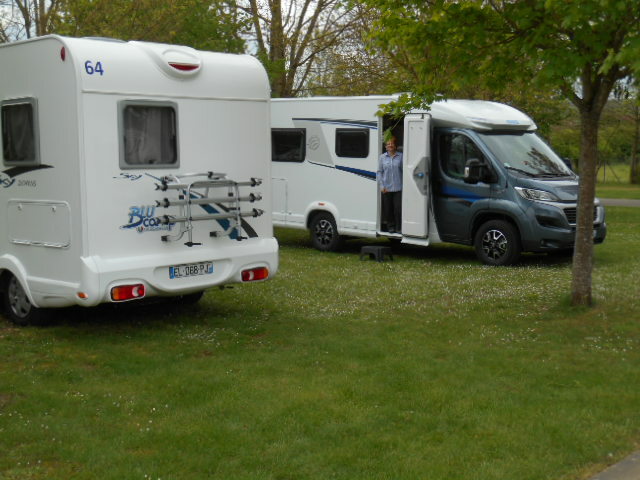 We had friends visiting from the UK for Easter weekend and, as we are currently of no fixed abode (we’re taking our time to find our “forever” house in Burgundy), we decided to take a couple of motorhomes out to visit Chablis, instead of staying in a hotel. 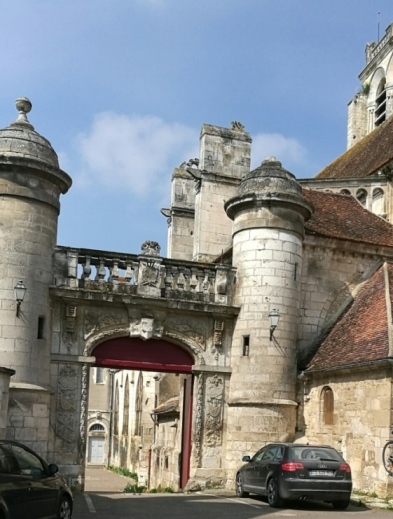 We have blogged about the town and wine region of Chablis before as it makes for a delightful visit by campervan and is only an hour’s drive from our depot. 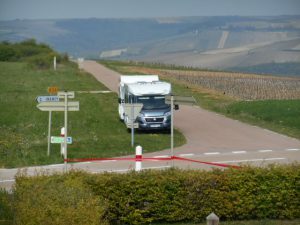 A motorhome gives you complete flexibility to stop anywhere for lunch! 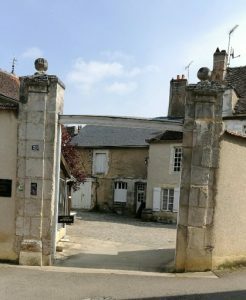 Chablis did not disappoint last weekend, but this trip did remind us to always take our bikes. Having decided to shake down a brand-new Euro-Explorer Compact Prestige (the smallest but most luxurious motorhome on our fleet) instead of taking our own campervan, we somehow managed to forget our bikes! 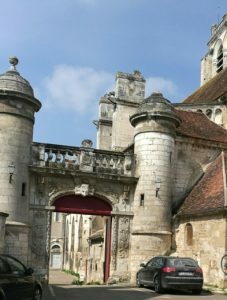 It is best to avoid driving a campervan through the historic architecture at St Bris! The photos, left and right, illustrate how the roads in some French villages were simply not ever intended to be explored by motorhome, or car for that matter! 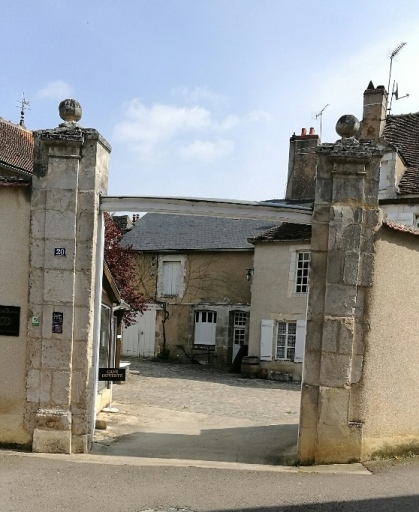 Highlights of the weekend included wine tastings in the villages of St Bris-le-Vineux (best known for white/sauvignon blanc) and Irancy (best known for red/pinot noir), a barbecue and stay on the four-star Ceriselles campsite at Vincelles, a superb restaurant meal at Hostellerie de Clos in Chablis, and finally a tasting of Chablis wines at “La Chablisienne“. 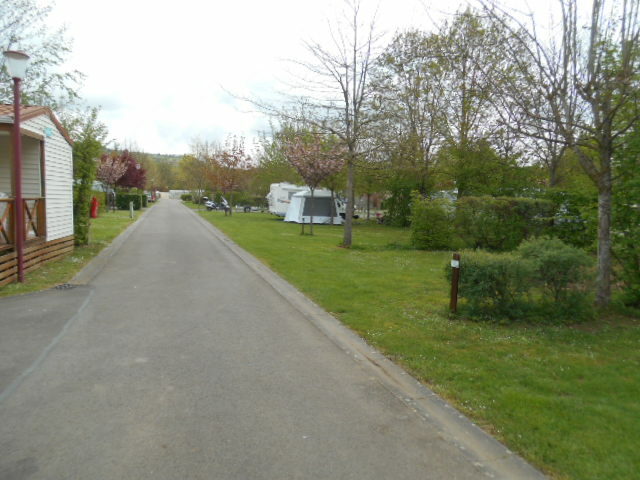 Leave the motorhome parked up at the edge of the village! 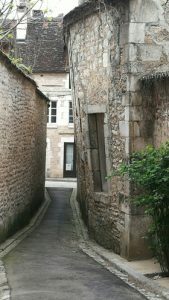 All of the ancient wine villages that you encounter in this wine region are really pretty and well worth exploring. However, for stress-free parking in a campervan you have to park at the edge of the villages – that can mean spending a lot of time on foot. Bikes would be much more convenient. We finished up hiring some bikes for our weekend from the campsite so that we could get to a local wine tasting that was just a bit too far to walk. For two hours’ hire we paid €28 to rent four bikes (at France Motorhome Hire we charge €4 per day for our bikes, so that was a bit of shock). The moral of this tale is: bring bikes with you or hire them from us to make sure you can see and do everything that you want to during your trip without paying campsite bike hire prices!